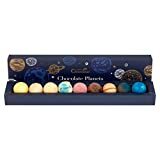 A Heavenly Selection Of Expertly Handmade Out Of This World Chocolate Planets + A Star ( The Sun). 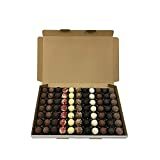 All Chocolates made with a different delicious filling using 100% Belgium Chocolate and Artisan Flare. 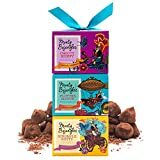 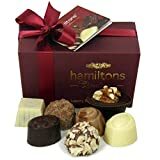 This mixed selection box of delicious Swiss chocolate truffles includes eleven flavours, including: Raspberry, Champagne, White, 70% dark, Cappuccino and Rum. 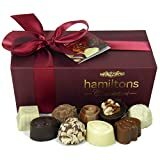 The selection makes a wonderful gift, and there's a flavour for everyone to enjoy!